Who knew that dropping your lipstick could lead to a murder investigation? While attending a high school football game, Ellison drops her lipstick underneath the stands. When she goes to retrieve it, someone nearly knocks her over running the opposite direction and she trips over the body of Bobby Lowell, a young man her daughter’s age. Bobby is bleeding and Ellison immediately swings into action, trying to staunch the flow and get someone to help. Trouble is, the cheering of the football fans is drowning out all of her cries for help. Before he dies, Bobby begs Ellison to “tell her that [I] love her.” But Ellison doesn’t know who Bobby’s talking about. Still, she’s compelled to do all she can to find out who Bobby loved and deliver his dying message to the young lady. 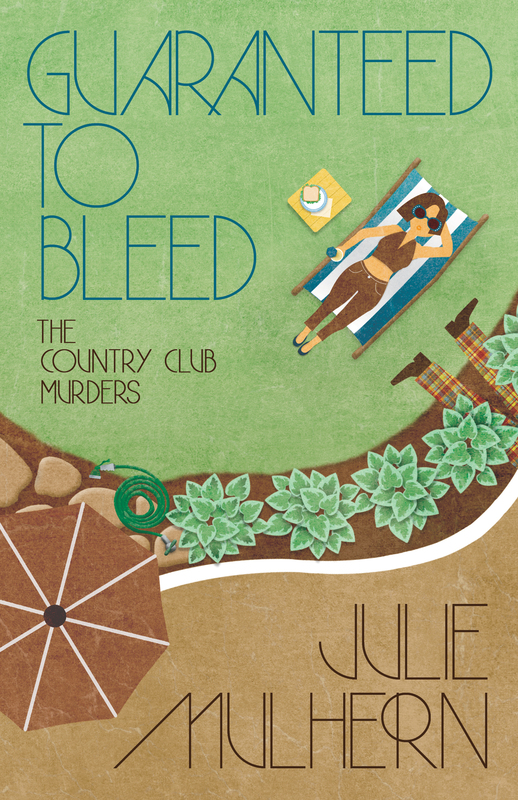 Julie Mulhern delivers another outstanding mystery novel with Guaranteed to Bleed. Only a matter of months after the strange happenings surrounding the death of Ellison’s husband, as well as others in her social circle, she is pulled into another murderous mystery. Ellison faces off with a cadre of teenagers, her formidable mother, the Country Club society sect, and her own feelings, which ping pong between the suave and sophisticated Hunter Tafft and the rough-around-the-edges police detective, Anarchy Jones. (#TeamAnarchy) Julie Mulhern creates memorable characters and paints a canvas rich in historical detail. This is one of my absolutely favorite series. Reading Julie Mulhern feels indulgent and relaxing; I savor every page and each chapter, eager to keep reading, but fearing the end because then the experience will be over. My fingers are already itching to get hold of the next story in this remarkable series and then tell you all about how wonderful I’m sure it will be! Click here to enter to win one of five e-copies of Guaranteed to Bleed! Jenna, thank you for hosting me today! I’m so happy to be featuring this great book today, Julie!